Heat oil in medium skillet over medium-high heat. Add onions; cook and stir 10 to 15 minutes or until onions are golden brown. Stir in balsamic vinegar until blended; set aside. 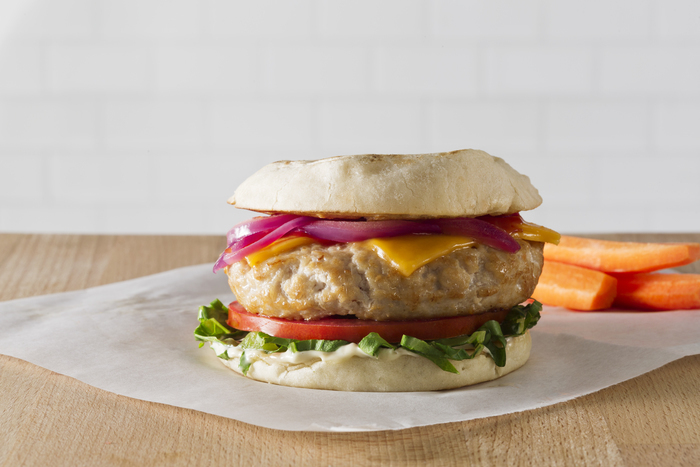 Cook turkey burgers according to package directions for broiling or grilling. When burgers are heated, top each with 2 slices cheese. Broil or grill 1 minute or until cheese is melted. Spread 1 tablespoon Dijon-style mayonnaise on bottom half of each English muffin. Top each with 1/4 cup lettuce, 1 tomato slice, 1 cheese-topped burger, 1-1/2 tablespoons ketchup and 1/3 cup onion mixture. Cover each with top of muffin.